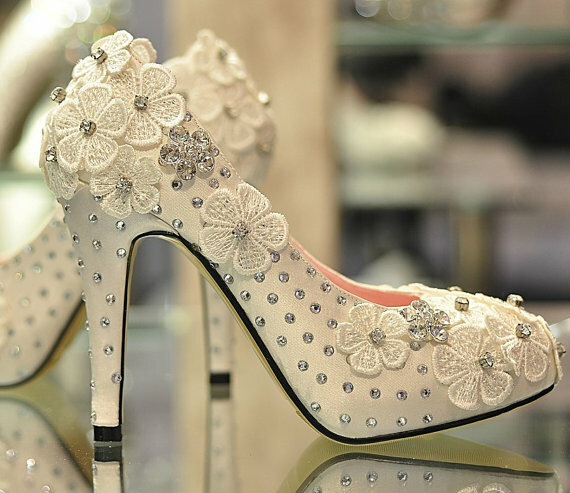 Today's post is about wedding dress and shoes for mother bride. Wedding is not a dream day for bride alone, it is also a dream come true for bride's mother too. All eyes will be on mother's bride during the ceremony so depending up on the theme of the wedding you can choose from classic suit, chic sheath, cocktail dress or ball gown. The color of the mother of bride's dress must complement the wedding party color but avoid anything which is in the same color as bride as it is the day of bride she has the privilege to look unique. 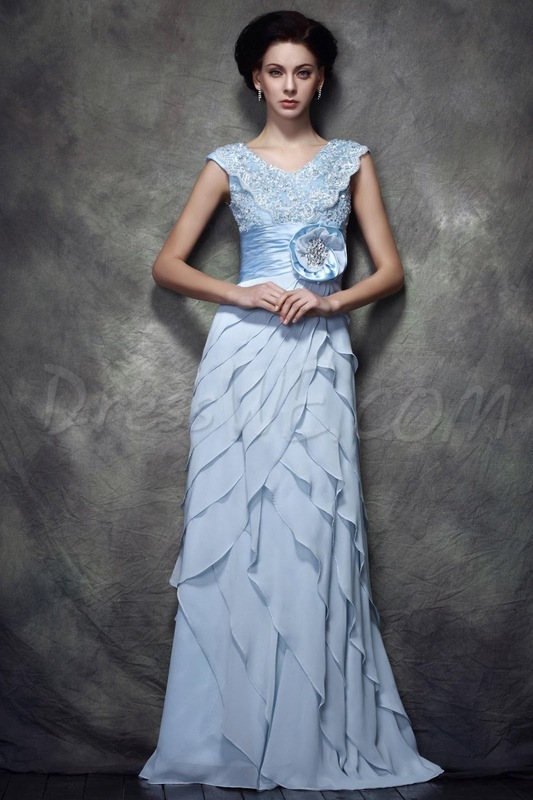 The three mantra that you must keep in mind while buying the dress are Elegant, Understated and Appropriate. Go for a dress with minimal sequence work and a simple jeweler you don't want to look like a disco ball in the wedding. Go for a light liquid foundation to avoid caking up of foundation in to fine lines. Shimmery eye shadow draws attention to the lines in eyes so avoid it at any cost. Toss the gloss and go for satin finish lipstick to avoid emphasizing lines and chapped lips. Decide the hair style at least a week before the wedding. 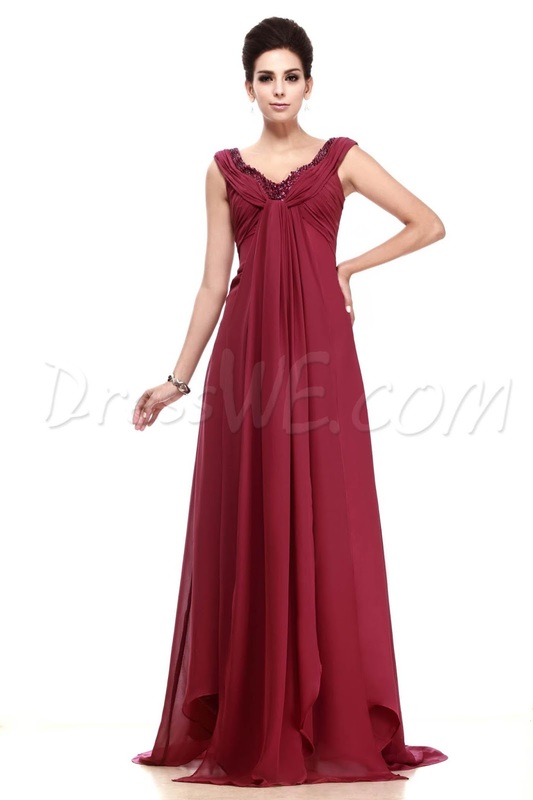 Dresswe.com has loads of elegant collection for mother of bride. They also have dress specifically designed for plus size mothers. Here are few of my favorites from Dresswe. No beautiful dress is complete with out beautiful shoes, so let us take a look at the beautiful shoes available for mother of bride. When you are looking out shoe go for shoes with less bling and simple work to get the elegant look. 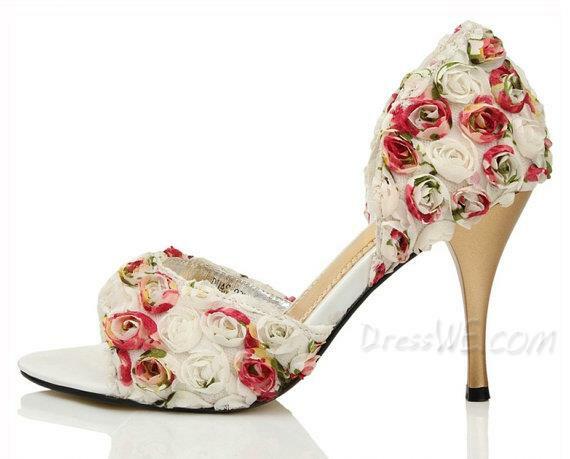 Dresswe have cheap wedding shoes for mother, here are a few.